18th Centruy Dutch merchants strive to harvest the most crops, using windmills to take back land from the sea! Make the best use of your seeds and building timber. Easy to grasp rules make it fun for the whole family! Double-sided game board for 4 different options! 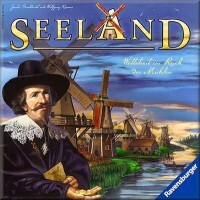 Add a Review for "Seeland"